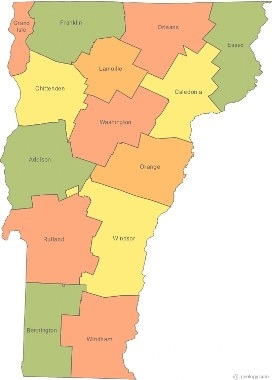 Collaborative Interactive Maps of Vermont! The maps below are interactive. But, we need your help! First, click the Vermont County Map to open the larger version in a new window. Move your mouse over Lamoille County. You will see a few examples of the INTERACTIVE links you can add to the map: text, images, and links to other websites. Editing the map is easy. Just follow the directions at the bottom of the page. Do your research before you try to edit. If you are using a link, open that link in a new tab. Copy the link. 1. Click on one of the maps. It will open in a new window. 2. Hover your mouse over the upper left corner until you see the icons. 2. If you have a link, Paste (CTRL V) into the link box. 6. Click the Green Save button to finish. Check the map to see that everything works correctly. If you need to edit your work, go back to Step 2. How many useful Thinglinks can you make?